David Clarke has written an insightful, informative and thought-provoking book on UFOs and the UFO culture. This is not a debunking book, although it fulfills that function admirably. Rather, it describes Clarke’s long search for what is really going on with UFO reports. Along the way Clarke goes through various stages of what he calls the “UFO Syndrome”. Clarke is both British and a reporter. In the latter role, he interviewed many of the major players in the British UFO community. These interviews and his own investigations provide much information that, as far as I know, has never been published before. For readers familiar with the American literature on UFOs, this book provides a very welcome broadening of horizons. I had no idea that there was a British equivalent of Project Blue Book, for example. The honesty with which Clarke describes his own changing beliefs is most refreshing. He is never harsh or demeaning of beliefs he does not hold. He treats those who hold even very bizarre beliefs regarding UFOs with interest and respect. 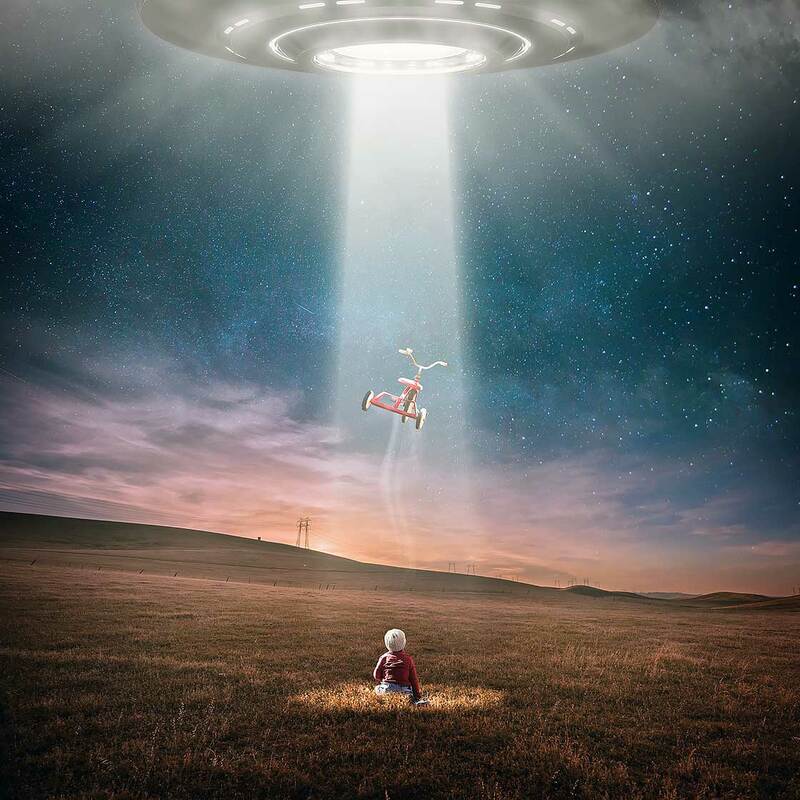 Careful investigation of many supposedly conclusive UFO reports showed that witnesses had constantly misperceived mundane objects as flying saucers. This message was not well received by the UFO community. Like this reviewer, Clarke’s interest in UFOs sprang from reading science fiction stories and seeing science fiction films and TV shows during adolescence. We both read various UFO books and joined a UFO group (NICAP in my case) and came to really believe that UFOs were of extraterrestrial origin, the start of the “UFO Syndrome”. In the introduction Clarke describes in detail his captivation with the syndrome. In the following ten chapters, he writes about his pursuit of the “truth” about UFOs. It is a fascinating journey. The first two chapters cover topics that will be familiar to the skeptical reader. After describing the Arnold sightings and several 1950’s “flaps” and the huge interest they generated in the United States during the later 1940s into the 1950s, he notes that “the [UFO] syndrome took hold in no less dramatic fashion” (p. 38) in the United Kingdom. It is here that Clarke also describes the important connection between the UFO syndrome and the fantasy and science fiction pulp magazines of the 1930s through the 1950s. This connection has been discussed at length in Andrew May’s excellent Pseudoscience and Science Fiction (Springer, 2017). Like many, I suspect what most convinced me that UFOs were real were the number of reliable, sane, often professional and well-trained people who reported them. Certainly not all of these people could have been fooled. After all, “seeing is believing.” The young Clarke also felt this way. In the second chapter, titled “I Know What I Saw,” he elaborates on this theme and introduces Ockham’s Razor and the work showing that human memory and perception is highly unreliable, especially under conditions where there may not be much information available to really determine what is really being perceived. This may be old-hat to the skeptical community, but it certainly is not to the public at large. In fact, it was only in graduate school when I learned about the constructive nature of memory and perception that I came to the conclusion that UFOs (and other such phenomena) were products of the inner world of the normal brain rather than in the outer world of actual objects. This insight leads Clarke to an explanation for even Kenneth Arnold’s 1947 sighting that led to the modern flying saucer myth. Arnold most probably saw white pelicans flying at altitude. Clarke credits Allan Hendry, an investigator with J. Allen Hyneck’s Center for UFO Studies, with starting to punch holes in the idea that eyewitness reports were useful sources of proof that UFOs were extraterrestrial. In 1979 Hendry published his famous UFO Handbook (Doubleday) in which he reported that careful investigation of many supposedly conclusive UFO reports showed that witnesses had constantly misperceived mundane objects as flying saucers. This message was not well received by the UFO community. In 1970 the most extensive and well-planned hoaxes in the history of UFOlogy were carried out in Warminster, England. Only the first of these has apparently been previously reported, in an article by one of the hoaxers, David Simpson, in the fall, 1980 issue of the Skeptical Inquirer (pp. 32–39). The hoaxers took advantage of the fact that dedicated UFO watchers would be out on the night of the hoax. On a hill across from the watchers, the hoaxers lit a red-purple light, left it on for 5 seconds, turned it off for 5 seconds and then back on for 25 seconds. Infiltrators in the watchers supposedly took photos of the “UFO” and one of them had what was billed as an electromagnetic field detector that sounded the instant the UFO appeared and quieted when it vanished. The eyewitness reports got every aspect of the event wrong, and dramatically so, except for the shape and color of the UFO. They overestimated by about a factor of four the length of the event. While the light was stationery, they perceived it as moving. And while the light was on the hillside opposite, they perceived it as being in the air, where any self-respecting UFO would be. The object photographed was emitting ultraviolet light, which the eye does not see. Around the object, however, a ruby-red halo, probably of a monochromatic colour and doubtless due to some phenomenon of air ionization, was visible only to the eye and in actual fact made no impression on the film. (P. Guerin, F. Flying Saucer Review, 1970, vol. 16, # 6, p. 8). The Warminster sightings remained a touchstone of the extraterrestrial hypothesis until Simpson’s 1980 Skeptical Inquirer paper. However, as far as I know, it has been unknown until Clarke’s book that there was a second Warminster hoax pulled off some time later. Clarke interviewed Simpson and describes this second hoax. It was a pretty simple hoax which consisted of releasing two balloons at night from a location close to where UFO watchers had gathered. Attached to the balloons were small light bulbs powered by a small battery. The bulbs were “partly covered with opaque paint so that when dangled from the balloon on the end of a piece of cotton it would turn in the wind, making it appear to wink irregularly” (p. 87). To make the event even more exciting, two flashbulbs (remember those?) were included and timed such that they would go off two minutes after the balloons were released. The results were spectacular. UFO watchers were thrilled and began waving their flashlights to communicate with the supposed alien visitors. The whole thing was captured by a BBC film crew and was reported as a real UFO encounter on the BBC news program Nationwide. Later the fact that it was a hoax and the details of how it was done were revealed to the watchers. Is anyone reading this surprised that the watchers refused to believe that they’d been hoaxed? Probably not. But Clarke seems to have been, and it was these demonstrations of the failure of UFOs as extraterrestrial that led him to start questioning even more the usefulness of eyewitness reports and the “investigations” by UFO proponents. Chapter 4, “The James Bond Department” covers the British equivalent of the U.S. Air Force’s Project Blue Book, which was tasked with recording and, sometimes, investigating UFO reports. After years of trying, and often succeeding, to get information from the “UFO Desk,” Clarke comments that “the contrast between the popular idea of a lavishly funded secret government agency tasked with suppressing the facts about alien visitations and the mundane daily reality faced by those who ran…the actual UFO desk” (pp. 99–100) reminded him more of the early 1980s satirical British television program Yes Minister than the X-Files. Chapter 5, “Demand the Truth”, covers the continued call by UFO believers for release of “secret” government files even after the British government closed down the UFO desk in 2010. Here he makes the point that no matter what documents are released by any government, conspiracy theories that the released documents are just cover-ups for the real truth are non-falsifiable. This idea is well known to skeptics. But here Clarke makes a point I’ve not heard made before. Julian Assange and Edward Snowden both accessed highly classified documents and released tens of thousands of them. Documents proving that governments knew of the reality of UFOs would have been among the most spectacular revelation that these leakers could have made. And yet, there is not a single reference to UFOs, or UFO related topics, in any of these documents. But, of course, to the true believer this only shows that Assange and Snowden were in on the cover-up. Chapter 6, “Crashed Saucer Syndrome” covers the Roswell event in some detail. The chapter also recounts the story of another hoax, this one designed to test whether the British government really had a secret plan in place to deal with landings by actual flying saucers. Six carefully constructed saucer-like objects, 4.5 by 2.5 feet in size, had internal speakers that gave off an “unearthly bleeping sound when disturbed.” The objects were also “filled…with a foul-smelling concoction of flour and water that was boiled to make it resemble an alien substance” (p. 166). They were scattered around the south of England in September 1967. The result was chaos “crowned by a bureaucratic dispute over which department was responsible for the requisition of a staff car” (p. 167). Some people really believe that they are in contact with aliens through some form of telepathic communication. Chapter 7, “Cosmic Voices,” presents a sympathetic view of such people. It focuses on a man named George King, who had such a belief. King said he communicated with beings from Mars and Venus, and in 1959 he appeared on the BBC television program Lifeline. King was not the only guest on the show. Also present were a psychiatrist, a psychologist, and an astronomer. From Clarke’s description of the program one understands that there was no attempt to make fun of King, but to engage him in conversation and delve into his beliefs. This stands in sharp contrast to the more modern sensationalistic approaches to such claims. That said, it’s difficult, at least for me, not to chuckle when I read that King would suddenly have super human strength, “unwelcome levitation” and “On one occasion [King] experienced a bout of invisibility and disappeared for six hours” (p. 187). Damn inconvenient, that! Alien abductions are covered in chapter 8, “They are Coming to Take Me Away.” This is familiar territory that Clarke covers well. He discusses the role of science fiction stereotypes of aliens in helping to create the form of the alien abductors: “Visual media presented us with an image of what aliens should look like from 1978 and before long they started abducting us” (p. 220). The delusion-inducing role of hypnosis is also reviewed. Chapter 9, “Angels or Demons,” is the most thought-provoking chapter. The extraterrestrial hypothesis is certainly not the only paranormal explanation for UFOs, although it is the most common one. Some believe that UFOs are demons—literally the work of the devil. Clarke describes his long interview with Father Paul, “Britain’s longest serving Christian ufologist” (p. 222) who exemplifies this view. The late Father Paul’s beliefs were clearly heart-felt. This leads Clarke to compare traditional organized religion and belief in UFOs. He then asks an important question: “On what logical or scientific grounds should established faiths be worthy of respect but ufology be regarded as a laughing matter?” (p. 230). The religious/demonic approach to UFOs is not the only non-extraterrestrial hypothesis. There are the “Third Realm” (a term I’d not heard before) ideas. These hold that UFOs are from different universes or different dimensions and have been proposed by Jacques Vallee and John Keel. It was Keel who, in his 1975 book The Mothman Prophecies, came up with the idea of “ultraterrestrials”—beings who “inhabited parts of the electromagnetic spectrum that were imperceptible to the human eye” (p. 239). The mothman was, in all probability, a misidentified barn owl, as Joe Nickell (Skeptical Inquirer, 2002, vol. 26, # 2, pp. 20–21) has suggested. When Clarke interviewed Keel, he backed off from his earlier claims. He is quoted as saying “the idea of ‘ultraterrestrials’ is a literary device. It wasn’t a theory as such” (p. 242). After spending three decades immersed in a syndrome where the scientific method is nearly always sacrificed to wish-fulfilment I had reached a point where I had to reject the extraterrestrial hypothesis as an explanation for UFOs simply because it can never, ever be refuted. (p. 254). The final chapter “Conclusion: In the Eye of the Beholder” summarizes the insights Clarke has come to during his investigations of the UFO phenomenon. It is a useful summary of the state of belief in UFOs and why people come to believe in them. Much here will be familiar to skeptical readers. For my own part, I thought that the most insightful comment in the book came from, of all people, John Keel, quoted on page 243. After allowing that he didn’t really believe the ultraterrestrial hypotheses, he admitted that “we are the intelligence which controls the UFO phenomenon.” It’s not clear what Keel meant by this. However, I would take it to mean that it is the inherent nature of human memory, perception, and cognitive processing that causes UFOs to be seen and the sometimes-dramatic interactions with them and their occupants to be so vividly remembered. 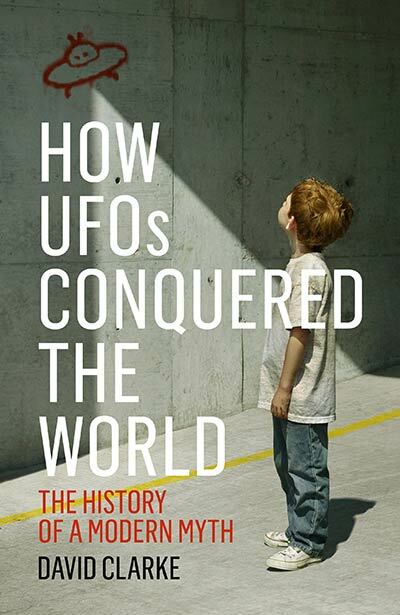 I can’t think of a better book to give to a friend who is curious about what the UFOs are all about. Dr. Terence Hines is a cognitive neuroscientist and professor at the Psychology Department, Pace University, Pleasantville, NY and adjunct professor of neurology at New York Medical College in Valhalla, NY. His research focuses on paranormal belief, the cognitive representation of numbers and, when he has time, the nature of bilingual memory. He is the author of Pseudoscience and the Paranormal. He received his undergraduate education at Duke University and his Ph.D. from the University of Oregon. When not cogitating about brain stuff, he transforms into a student of how data from local postal activity of the 19th century in the US can illuminate the economic history of that time period. “He (Bruce Maccabee) says it is impossible for a bird to be as bright as reported by Arnold, and that birds—which could not fly as fast as Arnold’s plane—would have steadily moved backward, not forwards, relative to his position.” (Wikipedia, “The Arnold Sightings”. What if the line of flight of the birds was at an angle to that of the plane’s line of flight such that their apparent motion was from the side to the center line of the plane? Then they might appear to be moving in the same direction the plane was flying and hence the misunderstanding. As far as their apparent brightness is concerned, if they appeared against a background somewhat darker than their own reflected brightness, it’s easy to see why Arnold may have thought they were much brighter. Not saying that this is necessarily the case but it certainly requires fewer assumptions than an extraterrestrial hypothesis. Thank you both–Clarke, the author, and Hines, the reviewer–for this breath of fresh air on a beautiful Florida Wednesday. As a curious man born in 1952, I went through the entire intellectual journey described and have arrived at the same conclusion. My life at this point, however, is populated by so many believers–in ETs and much, much more–that the revelations (and sense of comradeship) must remain a steadfast secret. I shall continue to look at the universe with wonder, knowing that so much out there remains undiscovered. That’s the attitude with which I can continue to live a normal life, knowing that UFOs are, as Keel implied, a product of our very own quite terrestrial human nature. The Drake Equation indicates the galaxy should be teaming with life. The recent observational evidence of planets around other stars lends support to the Drake Equation calculations. Many of those planets are millions of years older then Earth. Consequently we should believe that we have been, are, or will be visited by extraterrestrial aliens. The only thing we can conclude is that we currently have no scientific proof of visitation. Toby, even if the galaxy is “teeming with life,” as you say, the probability that they would have actually visited Earth, especially without having made documented contact, is next to zero. There are an estimated 100 billion planets in the Milky Way, with the nearest habitable planets estimated to be about 20 light years away. In order to identify OUR planet as inhabited, they would likely have to have detected radio waves coming from Earth, which were only first generated about a century ago. It is highly unlikely that any civilization, notwithstanding some currently unknown principle of astrophysics, could have detected the signal and then traveled here in that amount of time. It could be argued that some hoaxes (not unlike magic) create a teaching moment on how easily the human psyche can be fooled – as it seemed for the author. Regarding magic, imagine if our kids had Houdini, Amazing Randi or Penn & Teller as teachers. I don’t think apathy would be a problem and would contribute greatly to one’s critical thinking skills. The Scientific worldview still seem a a hope for US ( the science guys) rather than a state of society. 1) Time. The galaxy is 13 billion years old. If the average civilization that achieves space-faring ability explores space for 10,000 years – an EXTREMELY optimistic estimate, if humans are any indication – 1.3 million of them would have to have evolved to give even odds that at any given point in time one would exist. 2) Distance. The Milky Way can be approximated to be a cylinder that is 100,000 light years across and 1,000 light years high – thus 7854 million cubic light years in volume. To give even odds that space-faring civilizations are common enough that one is within 100 light years of us and thus could feasibly send agents here – again an extremely optimistic estimate – we’d need the 1.3 million civilizations mentioned above, times 78 billion, evenly distributed through the galaxy. Does the Drake Equation predict that 102 quadrillion space-faring civilizations have evolved so far in the history of the Milky Way? I recall that the Drake equation predicts that the chances of all the conditions being right for ufo contact in our lifetime is so small that it induces glee rather than awe!! from a short filme by Alan Ginsburg???? I get the impression that the reason for looking for intelligent life in outer space is that there seems to be very little of it here on Earth. Some science=fiction stories have aliens offering solutions to the problems that we have created for ourselves. My hairdresser, Eva, tells me that two men who do not know each other, both from Pine Bush, NY, come to her for haircuts on a regular basis. Both of them have told her almost identical stories of alien abduction. Pine Bush, NY has so many of these individuals, they now host a annual one day UFO festival, fair and parade that brings in tourists, vendors, speakers, and library events. The UFO beliefs support the community and social life of Pine Bush (pop 1,780). A small correction: David Simpson’s article was published in the Spring, 1980 issue of The Skeptical Inquirer. (Vol. IV, No. 3). I dug it out to read it. I wish to express my appreciation for your generosity for those who must have guidance on your theme. Your special dedication to passing the solution throughout had become unbelievably advantageous and has continuously made guys and women just like me to realize their goals. Your amazing important guidelines denotes this much a person like me and far more to my peers. Thank you; from all of us. Um, right… whatever that means. Just ordered the book and can’t wait to read it. As much as I wish there were UFO’s in reality I dont. The only two logical explanations I’ve ever heard is, 1. The vastness of open space. Chances of finding earth by another civilization are practically nil. And 2, Vehicles seen by those that have seen UFO’s in the air more recently is probably a black project aircraft. First of all I would like to say excellent blog! I had a quick question that I’d like to ask if you don’t mind. I was curious to know how you center yourself and clear your thoughts prior to writing. I’ve had difficulty clearing my mind in getting my thoughts out there. I truly do enjoy writing however it just seems like the first 10 to 15 minutes are usually lost just trying to figure out how to begin. Any suggestions or hints? Many thanks! Sorry not to have replied sooner. In regard to writing, I pretty much just sit down and write. There’s no “clearing” or anything. But, like you, it’s the start that can hold me up. Once I have the first sentence or two, the rest just comes easily. Of course, I often have to stop and check a reference. Or go back and change the syntax of a sentence. But once that first sentence is in place, the piece flows pretty easily. You’re absolutely correct, I’d love to learn a lot more on this particular issue! I’m also captivated by aptoide for pc because I feel it is quite unique right now. Keep doing this!